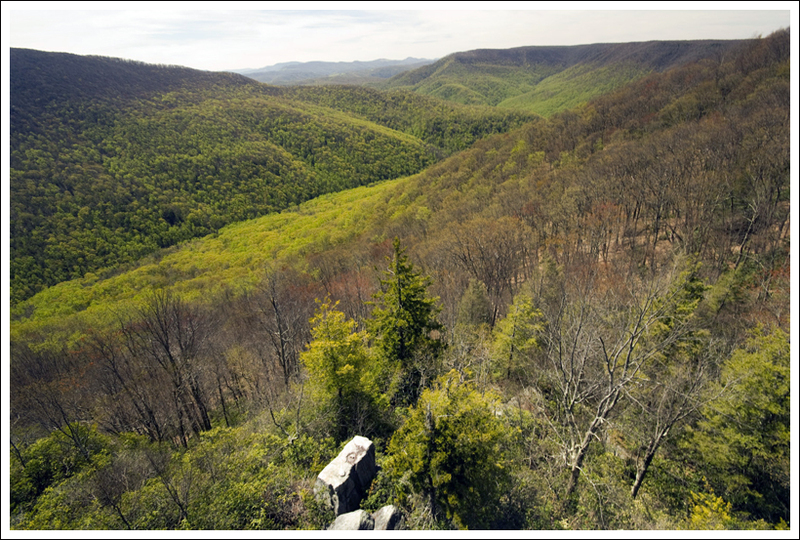 The drive to the trailhead is probably tougher than the actual hike, but this 2.4 mile out-and-back in the Canaan Backcountry has spectacular views and is well worth the bumpy ride to get to the trail’s start! Table Rock has great views of the valley. Below: When the weather has been wet, there are several muddy sections to cross (it was quite dry when we visited); Later this summer, the rocks will be covered with blueberries. This hike was definitely one of those pleasant surprises you find once in a while. 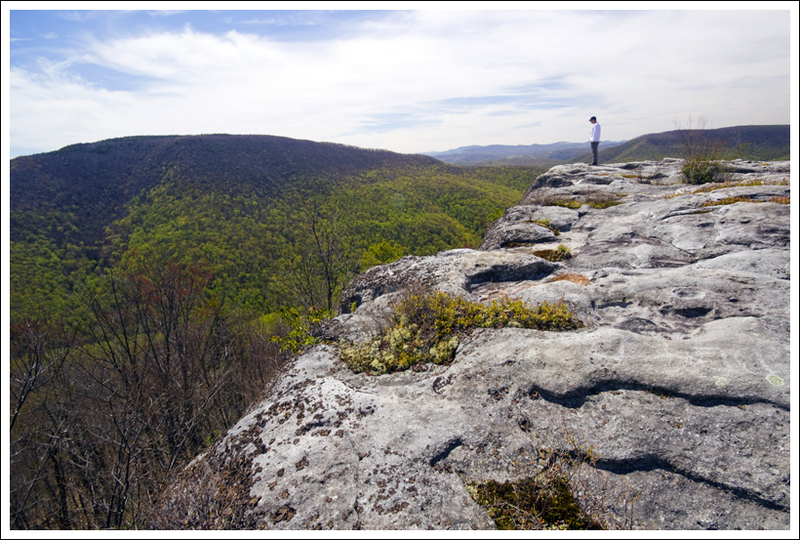 We have been going to Canaan Valley for years (my wife has been going since she was a kid) and we never knew about this great place for hiking that was just a short distance from where we always stay. I’ve driven by the Canaan Loop Road and thought to myself, “I wonder where that road goes.” If I had known earlier that it led to this area of hiking, we would have tried this out a long time ago. 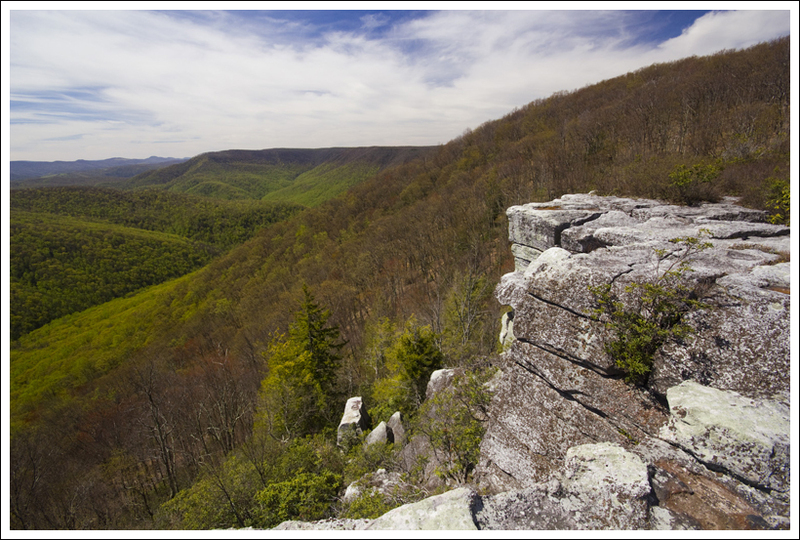 We had picked up the Day & Overnight Hikes: West Virginia’s Monongahela National Forest book a couple of years ago and have done a few of the hikes before. This one led us right to the Canaan Loop Road for this great out-and-back hike. When we started on the road, we passed by a few houses on the gravel, pothole-laden road and then quickly came upon a school bus parked in the middle of the road, blocking any traffic. I thought this was odd (and possibly a little like the start to a horror movie), but I didn’t see anyone inside. I walked up and saw a man about halfway down the bus that was straightening some things up. I asked if he was moving and he darted up front, started the bus, and gunned it down the road. We followed the bus for a while, but it was quickly leaving us in the dust kicked up from the gravel road. After a few miles, we came upon the bus again as it was parking for a scouting group that looked like they were packing up after a large picnic. We continued past the group on a very bumpy and narrow road that has some precarious edges that you just pray that another car doesn’t come the other way. We only came across one other vehicle on the road, but I would warn you to be cautious as you make your way along the road and drive slowly. 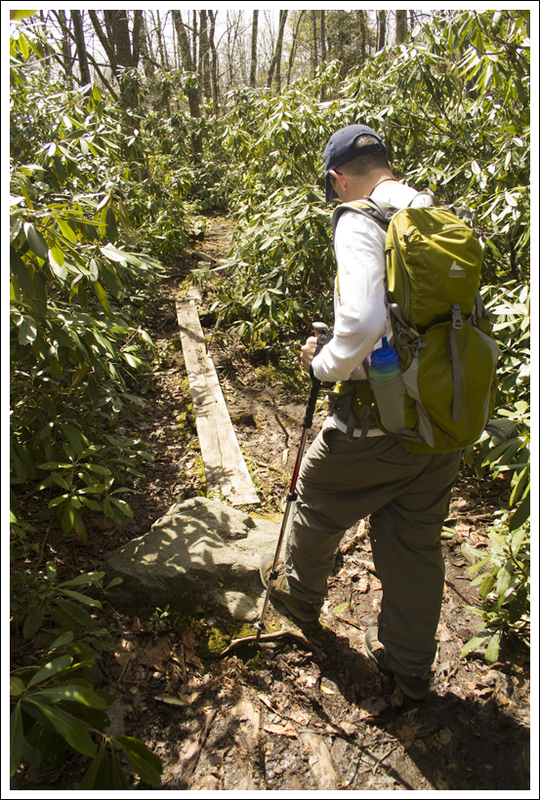 The rhododendron along this trail was thick and jungle-like. There were lots of buds, so it should be a pretty bloom this year! 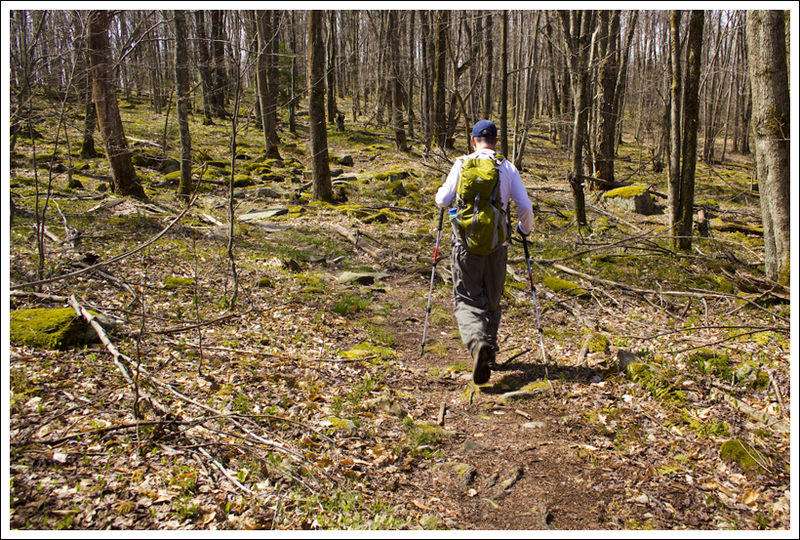 Below: Trails are not typically well-marked in the Canaan backcountry; Adam walks through open forest; Crossing another muddy section. After driving for exactly 10 miles on the Canaan Loop Road, we came to the parking area to the left for Table Rock. We started down the trail. The trail is technically blue-blazed, but you will likely only see a few of these blazes on the trees. The trail is fairly obvious, but I can imagine after the leaves first fall, it could be a little tough to find your way. 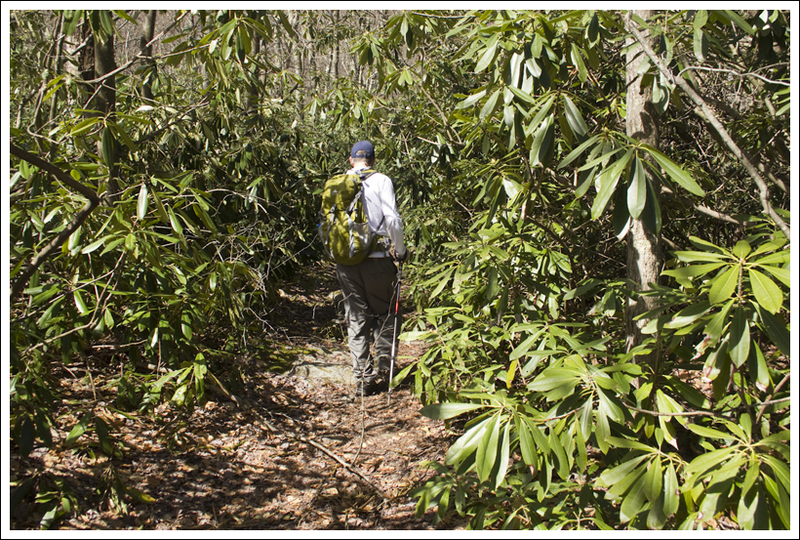 The trail starts almost in a jungle of rhododendron, but that quickly opens up to an open forest of larger beech, maple, and birch trees. 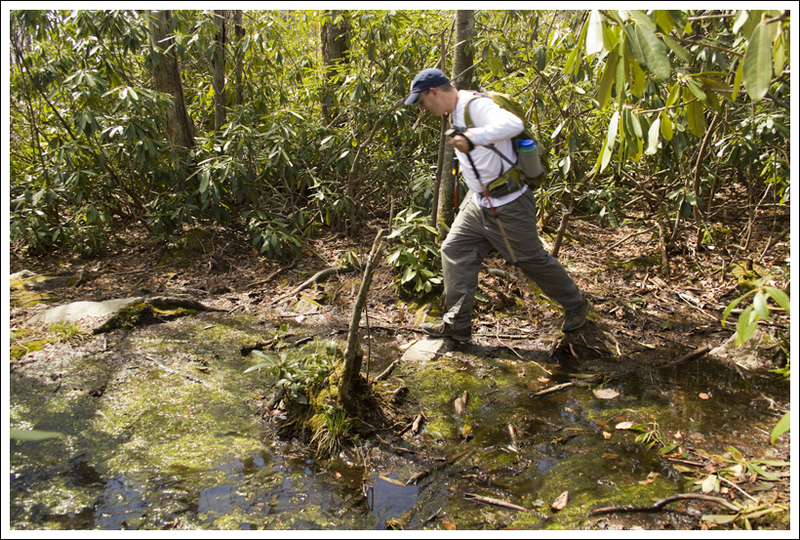 The trail stays relatively flat the entire way and there are a few areas of mucky ground or pools. Rocks and logs have been placed over in some of these to help you traverse, but in some areas after a good rain, you will likely need to get your shoes wet. After about 1.1 miles, you come across a campsite. Just ahead is Table Rock. The outcropping has phenomenal views. The rocks have crevasses that can be quite deep, so watch where you are stepping and be careful around the edges since there are huge drops below. Since this place isn’t visited often except by locals, this will be a great off-the-beaten path hike that you can likely enjoy the views all by yourself. The spruce-covered mountain across the gorge is Green Mountain. Since this trail is flat, almost anyone could enjoy this hike. It was quite breezy at the top and I had to hold my hat a few times as the wind picked up. You can tell that this area does get a lot of wind that funnels quickly through the gorge. We look forward to coming back to this area sometime soon and visit some of the other trails that crisscross around the Canaan Loop Road. 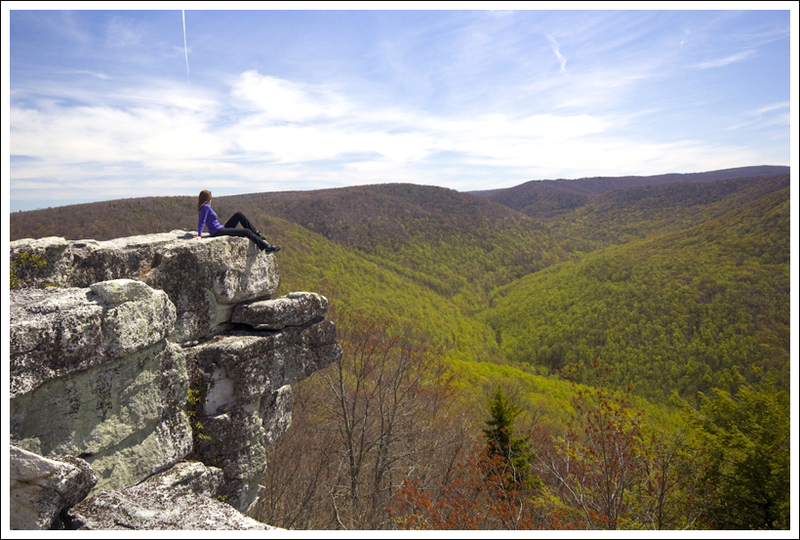 Normally when we visit the Canaan Valley area, it’s all about hiking and nature and waterfalls! This visit was all about… cleaning. Adam and I agreed to take care of the annual spring cleaning of my parents’ rental property in the area. In the three days we were there, we scrubbed, scoured, swept and probably did more than 20 loads of laundry. It wasn’t a fun trip, but we did manage to get out for one short, nearby hike. I have no idea how the trails off the Canaan Loop Road escaped our notice. 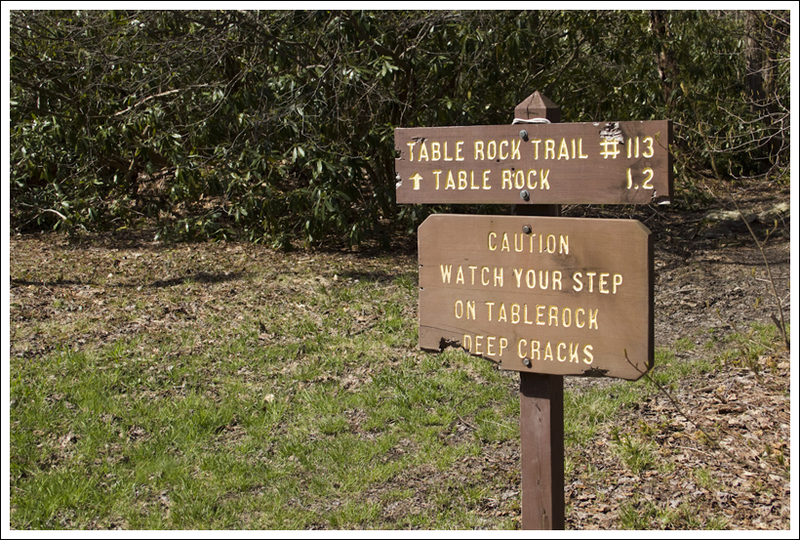 I guess when you’re close to Dolly Sods, Seneca Rocks, and Spruce Knob, other trails fall a bit by the wayside. But, I’m really glad we took the time to drive the ten bumpy miles to this trailhead. I love watching green creep up the mountainsides each spring. 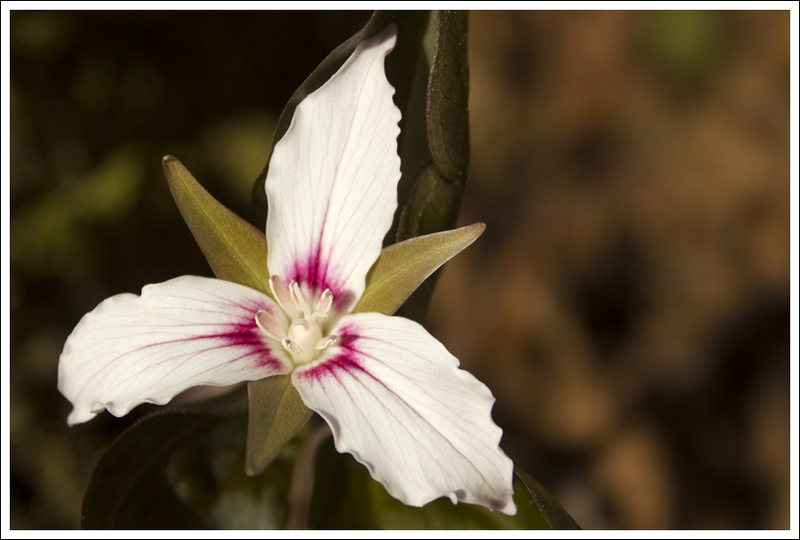 Below: Lovely trillium, A couple views of Table Rock. The hike to Table Rock was short, but had a spectacular payoff in terms of views and solitude. The path led through gorgeous forest, alternating between dense stands of rhododendron and open, mossy forest. The whole route is flat and easy, so in about 20-30 minutes, you’re already at the overlook. The rocky shelf stands over a magnificent, undeveloped valley. When we visited in mid-spring, the emergence of leaves created the effect of green creeping up the mountainsides. So beautiful! 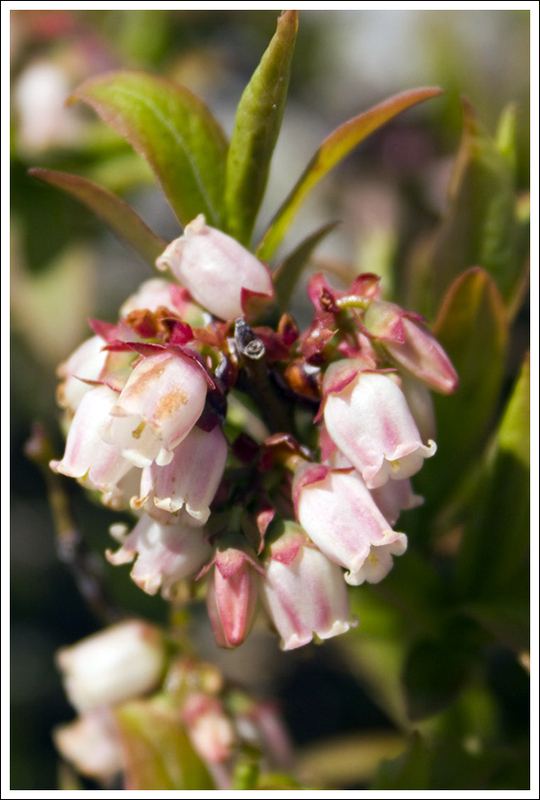 There were tons of blooming blueberry bushes in the area, too. It would be nice to visit in August and pick berries! I also enjoyed the Painted Trillium along the trail. Most of the trillium I see along the trails in Shenandoah is plain white or pink, so seeing a different variety was a nice change of pace. We were there a little too early to see the rhododendron bloom, but most of the plants were abundant with buds. It should be really pretty when they finally open! Difficulty – 1. This trail is very flat, so just about anyone could enjoy it. Trail Conditions – 3.5. The trail isn’t that well-used, but it was still a worn path. You may have to do a little rock-hopping to make it across some of the larger puddles. Views – 4. Breathtaking views are clear from this point. We enjoy not being able to see houses from great viewpoints and you shouldn’t see many signs of civilization from this outcropping. Wildlife – 2. Other than a few birds, we didn’t see anything on the trail. Ease to Navigate – 3. There is only one trail on this hike, so there shouldn’t be any confusion. The only reason to downgrade this is because it is not blazed often at all and in the fall it could be a little challenging to follow the path. Solitude – 5. We didn’t see anyone on a beautiful weekend day in the afternoon. From Davis, WV, head south on WV 32. In 3.2 miles, turn right on to Canaan Loop Road (Forest Service Road 13). Follow the road for exactly 10 miles. The parking area is on the left and there is a wooden sign that shows the beginning of the trailhead.